Austin Davidson is CEO of Tresta, a telecommunications company based in Tallahassee, FL. With a service offering that includes cloud-based business phone systems, virtual receptionist services, and custom IVRs, Tresta serves over 10,000 customers throughout North America, including SMBs, state and local governments, and non-profits operating across a range of different industries. Austin is a Tallahassee native and graduated from FSU in 2007 where he studied business and computer science. After graduating, Austin began working for PATLive, the family company that his father founded in 1990, as a Systems Engineer, where he gained valuable experience developing and maintaining high availability technology solutions before shifting his focus from product delivery to product design. It was in this phase of his career as a Product Manager that Austin began work on a business case to transform the company’s aging product line from a set of fragmented services with niche positioning to a new unified platform that would have broad appeal in the mass market. After a disappointing rejection by company management the first time he presented his case, Austin continued to believe in his vision for what the company could be and a year later had convinced PATLive’s leadership that the overhaul of the company’s services and positioning was not only doable but necessary. That same year, the company’s former CEO unexpectedly left to pursue another opportunity, and at the age of 30, Austin was promoted to the position. In the 3.5 years since, Austin has pushed for aggressive change throughout the organization, including a rebranding from PATLive to Tresta, the recruitment of new leadership from top organizations, and a bold move in his first year to divest from nearly 25% of the company’s revenue, forgoing revenue sources that were highly profitable but growth restricted in exchange for the ability to refocus the company’s resources in new areas with greater long term potential. Despite the cost of such decisions, Austin has quickly succeeded in leading the company to new vistas, with a headcount that has nearly doubled to 193 employees, a revenue rebound that in 2017 set a new record for the company’s 28 year history, and most important, a new energy throughout the organization as the staff works towards a shared vision of transforming Tresta from a little company that no one has ever heard of to a household name. 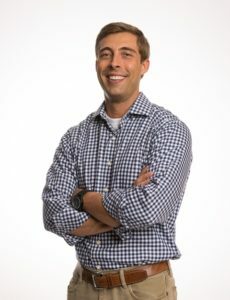 In addition to his business goals, Austin is a passionate advocate for the potential that private companies have to act as agents of change and social good, and shortly after he took the helm, Tresta began devoting one day per quarter to community volunteer projects, two of which are company organized and two of which are employee organized. As Tresta grows and has more resources available, Austin looks forward to a day when social good is more closely woven into the company’s operations a la Warby Parker, Amazon Smile, etc, and in the meantime, he’s made it a personal priority to begin serving on more charitable boards, including the Executive Board of the Suwannee River Area Council of the Boy Scouts. In his spare time, Austin enjoys running, reading, photography, and recently he’s begun pursuing his private pilot’s license. To learn more about Tresta, visit www.tresta.com.